The Philips Sonicare Flexcare line has top of the line models with several features designed to enhance the convenience and effectiveness with which you can maintain oral hygiene. 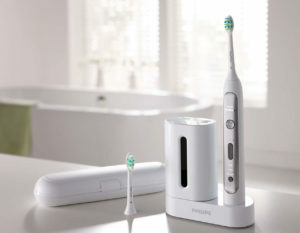 The range of electric toothbrushes in the Philips Sonicare FlexCare family includes FlexCare, FlexCare+ and FlexCare Platinum Connected models. They all share some features in common, and are unique in other ways. If you’re in a hurry, just check up the answers to these 3 critical questions to help you decide whether or not to buy a Philips Sonicare FlexCare electric toothbrush . And for more detail, read the entire detailed Philips Sonicare FlexCare review below. 1. Is there any serious drawback to the Philips Sonicare FlexCare electric toothbrush? No, there isn’t a fatal flaw that would turn you away from getting this model. All of the brushes under the FlexCare umbrella clean well, have good battery life and offer a range of cleaning modes. 2. Are there other alternatives to consider? 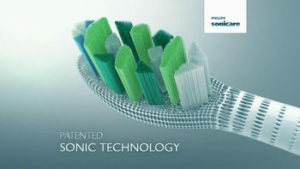 The Sonicare range has been expanded to include the Sonicare ProtectiveClean 5100 which is comparable to the Philips Sonicare FlexCare electric toothbrush, and the Philips Sonicare Essence line. Both are rather similar in features, but the ProtectiveClean is a newer model – and comes with a pressure sensor to help you avoid too much pressure on teeth and gums. There is also a system that alerts you when it’s time to replace the brush head. 3. 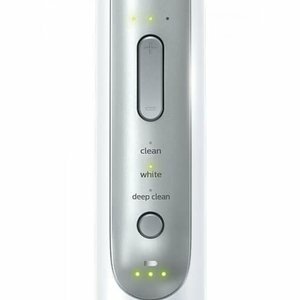 Where to buy a Philips Sonicare FlexCare electric toothbrush? You can choose to buy your toothbrush from an online retailer like Amazon or buy it in a store like Target or Boots. Availability will depend upon your choice of specific model and other specifications. It’s likely that you’ll save some money by shopping online because there are often special discounts and deals offered from time to time. Look for coupons that help you get these deals. Before going into detail about the specific advantages of the Philips Sonicare FlexCare electric toothbrush, I’d like to give you some information about the features that all Sonicare toothbrushes have in common and which make it one of the most popular brands in the market today. Like all other models, the Philips Sonicare FlexCare has a full-power mode which delivers 31,000 brushstrokes per minute for a very effective cleansing action. Of all the features a buyer must consider before purchasing an electric toothbrush, many consider this the most important. The standard battery in most Sonicare toothbrush models is a lithium ion rechargeable cell which lasts long and is easily recharged using the unit provided along with your device. Because the battery is slim, the Philips Sonicare Flexcare toothbrush looks sleek in design and is light weight, making it convenient to use. A Smarttimer function gives you a signal at the end of a two-minute period, which is the recommended duration for effective brushing daily. In addition, a QuadPacer alarm notifies you every 30 seconds so that you can shift from one quadrant to the next. The benefit is that you’ll devote enough time to clean your teeth and gums effectively. This is of special importance for children who are easily distracted and may not clean their teeth for long enough. For first-time users of electric toothbrushes, a convenient feature of the Philips Sonicare FlexCare line is the different speed settings which let you begin with a low vibration level to get used to the sensation of brushing with a sonic toothbrush. After a week, you can shift to a more powerful mode and eventually to the power-brushing mode that best fits your needs. Another interesting feature that sets apart the Sonicare toothbrush line from other brands is the snap-on design for replacing brush heads. While each model comes with some brush heads, you can easily add on any of the other replacement brush heads in the Sonicare catalog by the convenient method of snapping one off and the next on. This means you can use smaller heads for younger users and specially designed brush heads for special situations such as sensitive teeth or gum diseases. Though it has recently been topped by the Philips Sonicare DiamondClean electric toothbrush, the Philips Sonicare Flexcare Platinum brush has for long been the star of the stable with 22 million happy users worldwide – and for good reason. And it still has a range of features that most other models cannot match. Study after study has confirmed beyond any doubt that regularly using your Philips Sonicare Flexcare electric toothbrush will remove more dental plaque than any manual toothbrush. What’s more, the effect of a pressure wave generated by the vibrating head of the Philips Sonicare FlexCare will deliver a cleansing effect even beyond where the brush can reach. The way this effect occurs is by fluid being forced between your teeth and along your gum line. This relentlessly weakens the plaque adhering to your teeth and removes it gradually, simultaneously preventing the build up of any fresh plaque by reducing bacteria count in the oral cavity. With regular use of a Philips Sonicare Flexcare Platinum toothbrush, you can also get rid of persistent stains, leaving your teeth whiter in just 4 weeks. Stains that are the result of coffee, tobacco or wine are all effectively removed. The ultraviolet sanitizer that’s integrated into the charging unit is often praised in Philips Sonicare FlexCare reviews. While it certainly is impressive that bacteria count decreases in the brush head, it is also a fact that this hasn’t been shown to deliver any significant advantage in a scientific study. So don’t base your decision to buy a Philips Sonicare Flexcare or not on this feature alone. It is amazing how, when tested, people brushing their teeth tend to overestimate the duration they’ve been doing so. To avoid any such bias interfering with cleaning efficiency, the Philips Sonicare Flexcare has an inbuilt Smartimer which indicates when your 2 minutes are up. This functionality is even more useful for younger users who tend to be easily distracted. And to make sure you divide the brushing time evenly between the four quadrants, a QuadPacer function makes your Philips Sonicare Flexcare electric toothbrush temporarily switch off after 30 seconds to let you know it’s time to move to another quadrant. New users of a Philips Sonicare Flexcare toothbrush are often disconcerted by how different the sensation of using one is as compared to a manual toothbrush. The vibrating brush head and the fluid jets it creates can feel uncomfortable, especially while cleaning behind your front teeth. The Easy Start feature lets you begin with a lower speed setting. This eases you into the feeling of using an electric toothbrush. After a week or so, once you get more familiar and comfortable with using your Philips Sonicare FlexCare toothbrush, you can increase the setting to a more powerful mode for better cleaning. A small risk of electric toothbrushes is that you may press down too hard and injure sensitive or diseased gums and teeth. With the Philips Sonicare Flexcare, this danger is reduced thanks to a pressure sensor. The technology makes your brush handle vibrate gently when you’re pressing hard against your gums or teeth. This makes it safe to use the toothbrush even when you have gum disease, sensitive teeth, dental fillings, braces or veneers. The Philips Sonicare FlexCare feels solid and classy, not too heavy for convenient use and slender enough to be handled with comfort. There’s none of the cheap plastic and flimsy feel of lower-end electric toothbrushes in this one – it’s clearly a premium model . On the base of the brush, there’s a recess into which a prong on the charging station fits. A grooved or ridged rubber grip runs along the length of the handle, allowing a firm and secure hold on the brush while cleaning. Inside the handle, a Lithium ion battery and motor are sealed in a watertight fashion. A metal shaft links the motor to the brush head. You can select from between 3 cleaning modes and 2 routines for brushing with the Philips Sonicare FlexCare electric toothbrush . Clean, White and Massage modes can be selected by repeatedly pressing the mode selector button. The routines are Go Care and Max Care. Go Care is a one-minute brushing cycle, with switches between quadrants every 15 seconds. Max Care lasts for 3 minutes and is used for a more thorough brushing, combining both Clean and Massage modes. The quadpacer signals every 45 seconds. The idea is to make sure that you pay equal attention to different parts of your mouth and each cleaning sessions lasts the recommended 2 minutes. The standard Clean mode is useful for cleaning teeth and removing dental plaque as well as food debris from between teeth. The Massage mode gently compresses the gums to improve blood flow and avoid damage to sensitive teeth and gums. White mode combines 2 minutes of Clean mode function with an added 30 seconds of more vigorous cleaning action for teeth whitening. There are three intensity settings at which you can operate your electric toothbrush – Low, Medium and High. It is easy and convenient to switch between them. Your battery life will vary depending upon the kind of settings you use. The Philips website mentions a longevity of up to 3 weeks on a single charge, which is good enough for most users, even if you’re a busy traveller. ‘Clean’ mode is the typical standard setting in which most users will brush with a Philips Sonicare Flexcare. ‘White’ mode is designed to remove persistent stains on the surface of teeth, leaving them whiter and shinier. ‘Gum Care’ mode is for those with gingivitis and gum disorders, and is gentler than the other two. It gently massages the gum, improving blood circulation and speeding up control of infections. The InterCare brush head is what ships along with your Philips Sonicare Flexcare Platinum toothbrush and has bristles that are specially designed to be highly effective at removing plaque from teeth and improving gum health. Brush heads come in sizes suitable for both children and adults. The Mini brush heads may even be useful in older users with small mouths or who have had orthodontic work done. It is usual to change to new brush heads after three months of use. The bristles fade in color, which provides you with a visual clue that it’s time to replace the head. In summary, the Philips Sonicare Flexcare Platinum rechargeable electric toothbrush is a good model which delivers a pleasant and effective experience in keeping your teeth healthy and clean. Although the price is a bit higher than mid-range models, the features is offers make it great value for money. Q: Is the Philips Sonicare FlexCare an oscillating brush? A: No, the FlexCare cleans using a patented Sonicare technology called sonic pulsation, in which the brush head generates 31,000 pulsations per minute. Q: How many brushing modes does the Philips Sonicare FlexCare offer? Q: What brush heads come with the package? A: The Philips Sonicare FlexCare comes along with one AdaptiveClean brush head and one DiamondClean brush head. In addition, other brush heads can be used along with this handle. 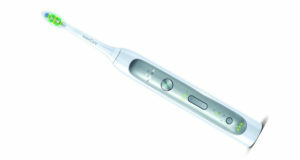 Compatible brush heads include ProResults, Sensitive, AdaptiveClean, InterCare and Philips Sonicare DiamondClean heads. Q: Is there a pressure sensor? Q: Can this toothbrush be connected to a smartphone using Bluetooth? A: No, it does not have bluetooth connectivity. Q: Is there a warranty? How long is it? A: Yes, the manufacturer’s warranty is for 2 years. Q: Does the Philips Sonicare FlexCare have an inbuilt timer? A: Yes, the timer lets you know at the end of either a 1 or 3 minute cycle by turning off the motor. To extend your cleaning session, you need to restart the brush again. Q: Is there a quad pacer? A: Yes, at 30 second intervals, the motor pauses briefly to let you know it’s time to move to another quadrant. A: With typical use, the Philips Sonicare FlexCare will function for upto 3 weeks – which is the equivalent of 84 minutes of brushing activity for a complete recharge. Q: Is there a charger? A: Yes, a charging station is included. However, it cannot be mounted on the wall and must rest on a flat countertop. Q: Does it come with a travel case? A: Yes, the Philips Sonicare FlexCare has a travel case in the package, which provides space to store 2 extra brush heads while traveling. Has this report on the Philips Sonicare FlexCare electric toothbrush helped you learn all you wanted to know? Hopefully this Philips Sonicare Flexcare Platinum review has been of help in guiding you to make a more informed buying decision. If you have any doubts or questions, you can check out the official Philips Sonicare website here , or leave a comment below.